Not too long ago I was talking about the 2013 Pantone Color of the Year Emerald, and just like that I'm discussing the 2014 Spring palette. What? Yup. Can you imagine? 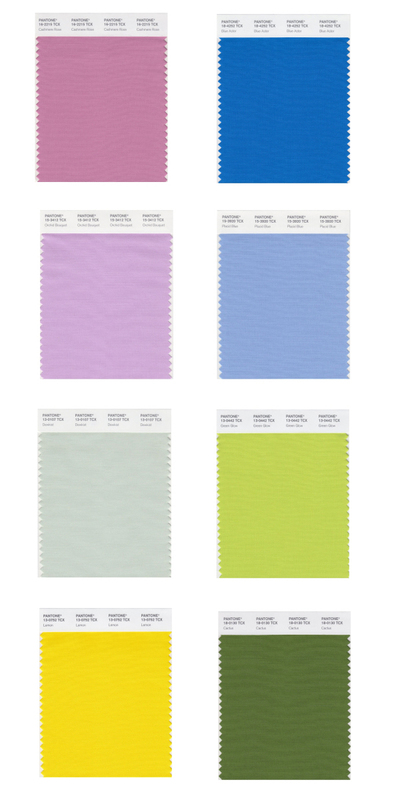 Anyhoo, this is a preview of what Pantone is predicting for 2014. A pretty delicate palette if I do say so myself. I am hoping some stronger pops will develop from this base; I do enjoy all of the air-time green has (sorry, will) be getting for the next two years.